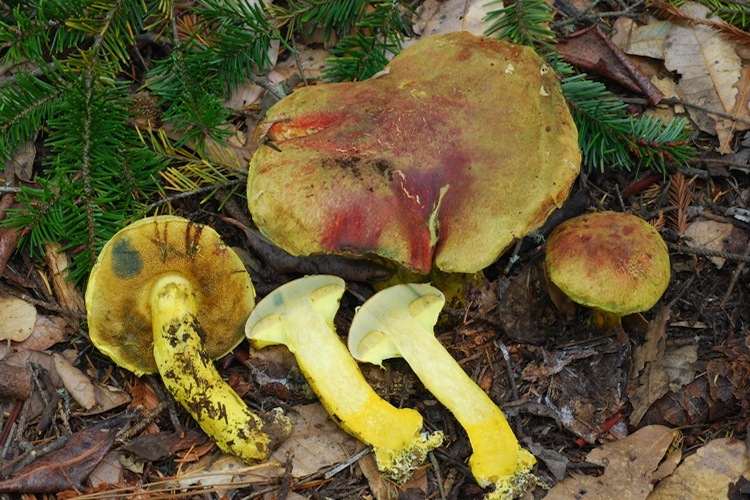 Pulveroboletus is a monotypic genus of bizarre and utterly unique bolete. The brilliant chartreuse coloration overall, and heavy, cottony partial veil (notably attached directly to the tube mouths) distinguish this mushroom from all others. Ecotomycorrhizal, but exact host preferences uncertain (Douglas-fir?). Extremely widely distributed (nearly cosmopolitan). Important identification characters include color, partial veil color and texture. No other mushroom really comes close.